In her first full-length collection published in the United States, Sylvia Legris probes and peels, carves and cleaves, amputates and dissects, to reveal the poetic potential of human and animal anatomy. 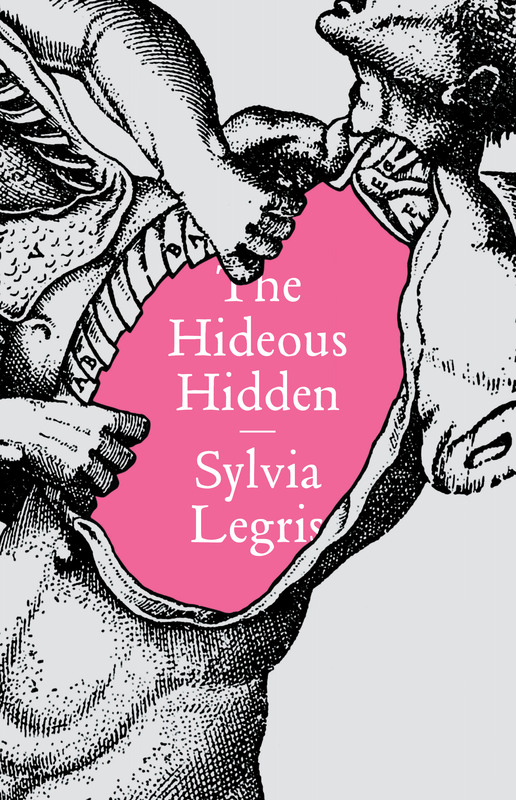 In The Hideous Hidden, Legris performs a poetic autopsy that untethers the language of the body and its “hideous hidden” from the morgue, the medical lab, the anatomy book—spaces from which women for centuries were long excluded—and creates from the history and language of this body her own stranger thing. Anatomical and medical language, cold and clinical in other contexts, becomes sensuous musical terrain; the sonic atmosphere Legris creates is as thick and slippery as the innards she describes. Legris’s microscopic attention is compelling and seductive, and from that narrow view it unexpectedly expands to tackle past and present, scientific and literary, private and public, and the rich histories that go with these dichotomies. Pulsing with secretions and excretions, her poetry saturates our imagination and invigorates our curiosity. Her work crackles with exuberant wackiness. Rapidly gets deep and electric as the corded nerves running through the spinal channel. The Hideous Hidden peels back the skin and takes us on a tour of our ‘fleshes,’ our ‘complicated riddle of meats,’ the ‘Vast. Vas. Vascular. Bladder-drenched city of organs.’ It is a tour de force through the vocabulary of the body’s parts and functions in sickness and health, waking and sleeping. With more than a passing glance at the history of its description. Most of all, it is a book that makes anatomy sing.